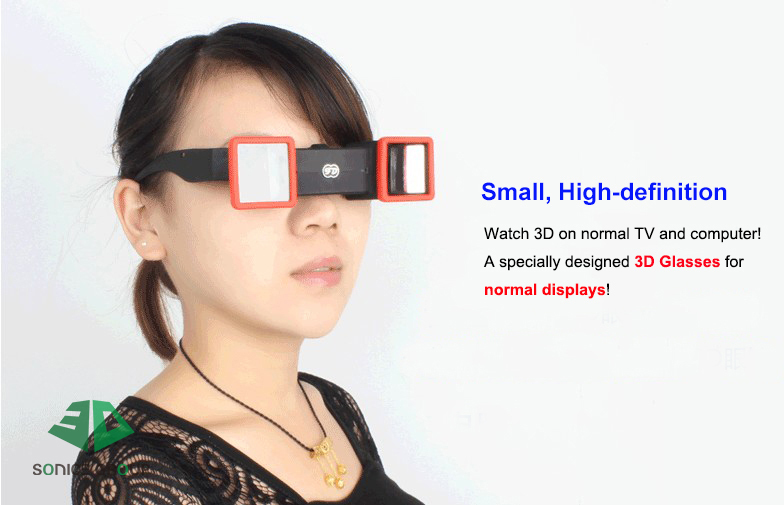 This mini 3D stereoscope is designed for viewing “side by side” 3D images and 3D videos. 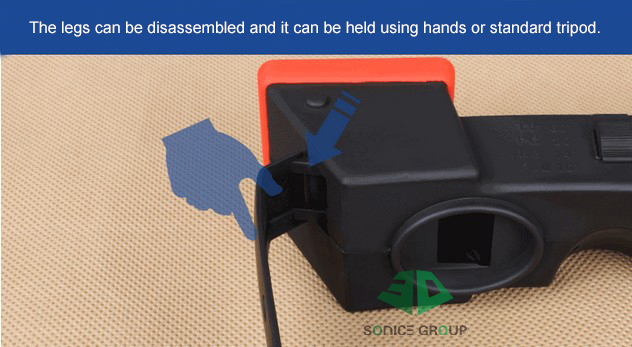 Workable for viewing on normal TVs, computer monitors, screens, tablets and any size of prints. Amazing super-sharp image at over 600 PPI. 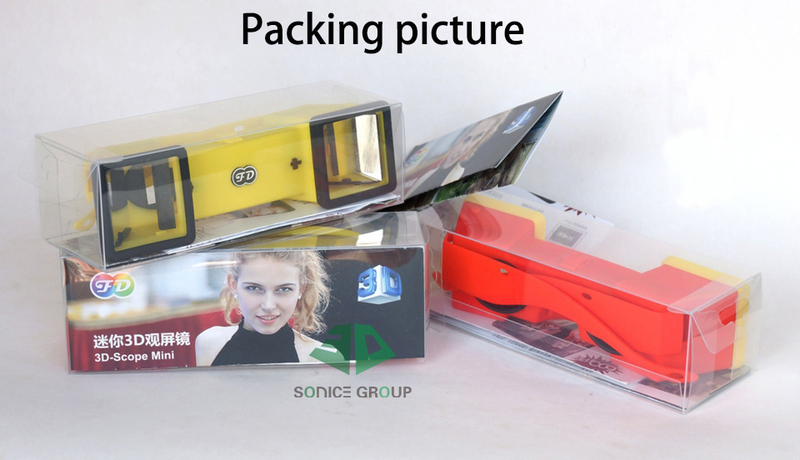 Using front surface mirrors, an adjustable aspect ratio control and a mirror distance adjuster, images can be viewed from a distance of around 6 inches to 14 feet. 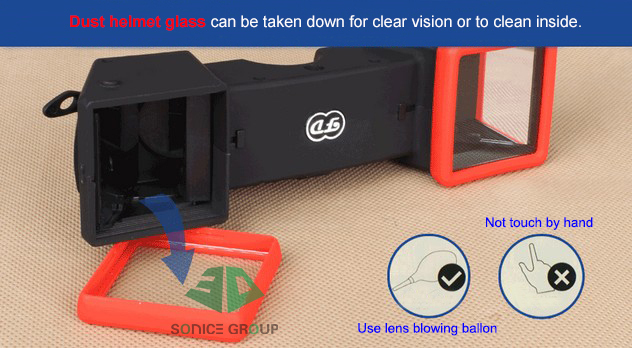 The front non-reflective glass pieces can be removed for easy cleaning. 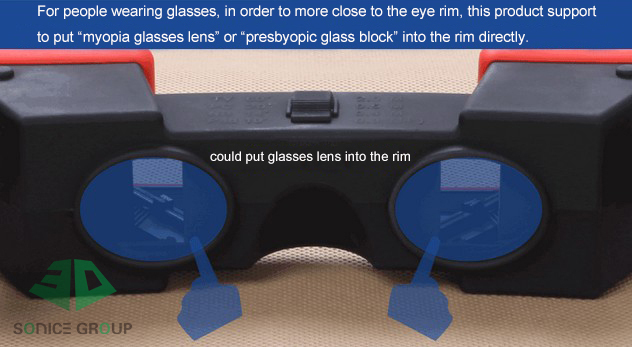 The temples are removable so the viewer can be worn like glasses or held like conventional 3d viewers. 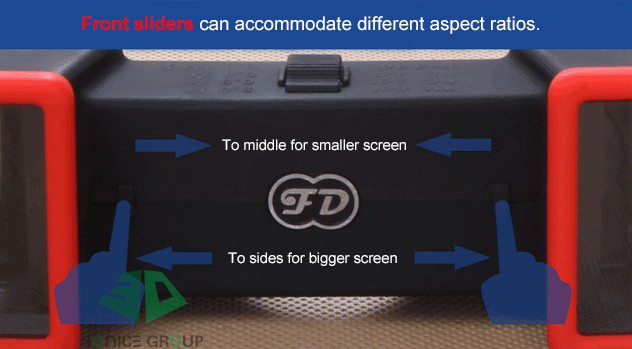 The bottom has a fitting for a standard 1/4-20 tripod fitting so it can be used for museum displays. 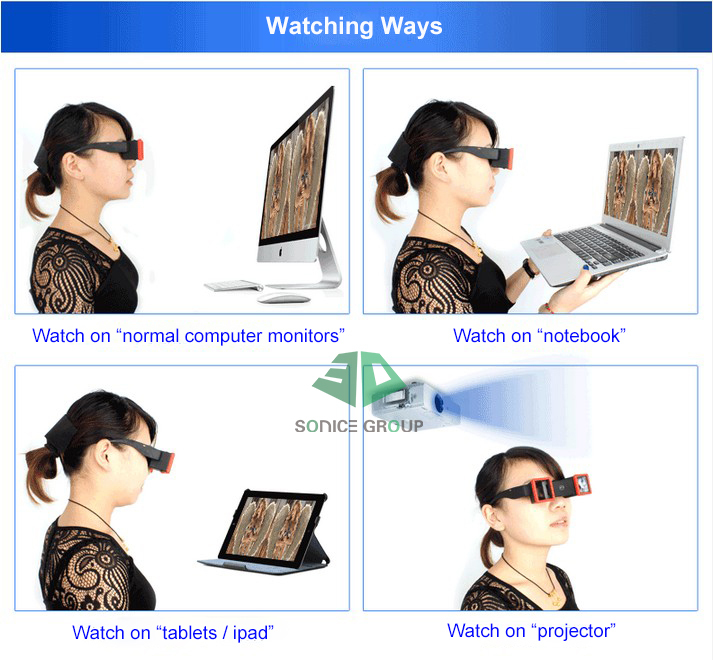 This viewer is great for tablets and monitors of any size. 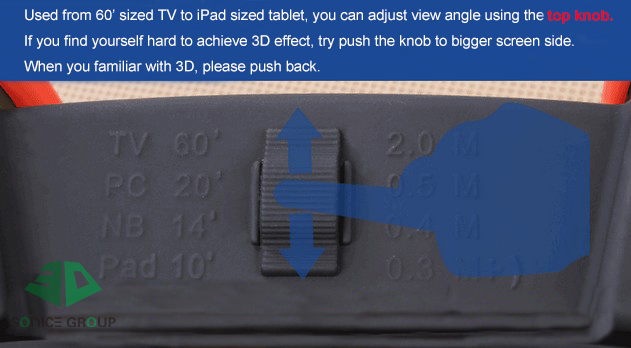 3D-Scope is always the smartest choice for you to enjoy 3D!